With a light news week, we're bringing the Beaverhead Endurance Runs 100K and 55K results into this week's Trail Shots. In Saturday's 55K, Montanans swept both the men's and women's fields, while only one man and one woman from here placed in the the 100K. The races take place in the Beaverhead Mountains outside Salmon, Idaho, with the 100K starting at Bannock Pass and the 55K at Lemhi Pass. Both races climb and descend between 7,000 feet and nearly 10,000 feet along the Continental Divide, top out on scree-covered cliffs then drop to the finish at about 5,500 feet. I ran through a few raindrops during the 55K and as it looked like more would fall before everyone finished. And just a couple of days later, the scree field was covered in snow. The Missoula area also saw some snow, but it didn't stop some hardy runners from getting out. 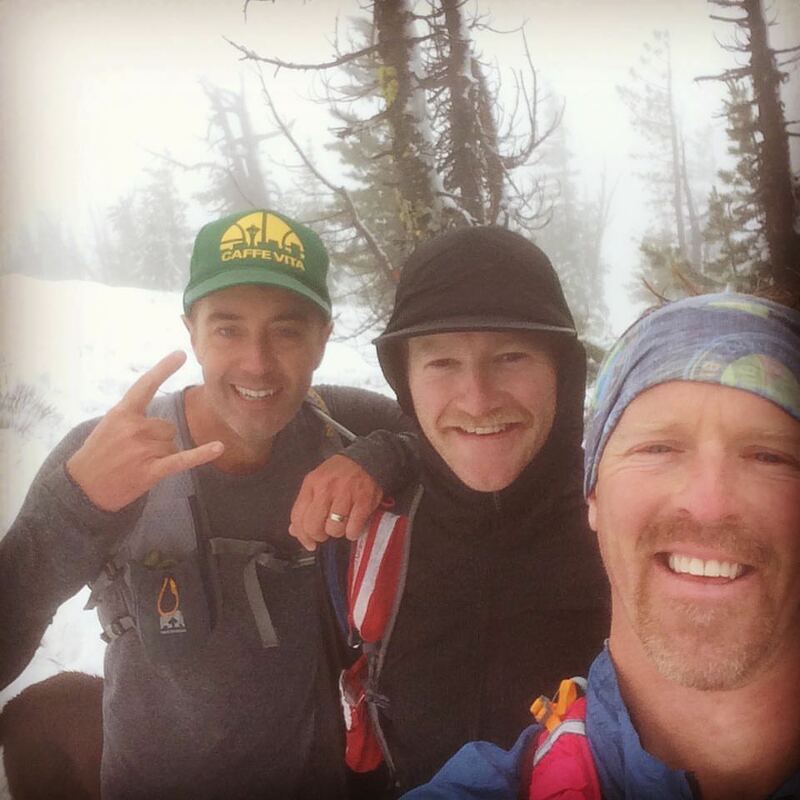 John Wicks, Tory Kendrick and Brendan Quinn ran up Stuart Peak, in the Rattlesnake Wilderness, through the cold and clouds on Monday. With the remainder of Montana's mountain snow melting quickly, many runners are finding a berry bounty. 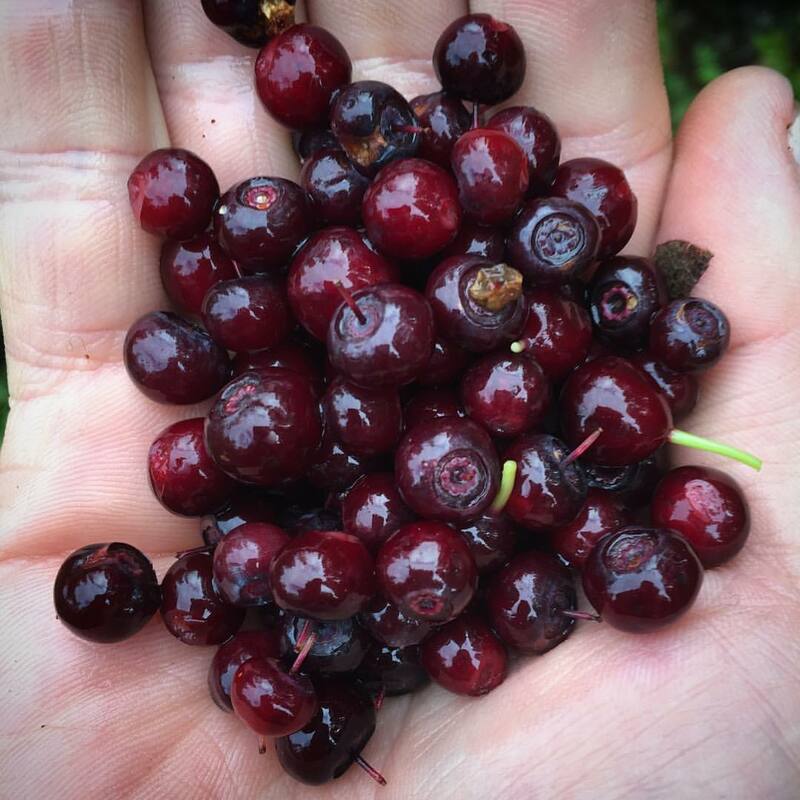 Huckleberries are already ripe in Pattee Canyon and the Rattlesnake National Recreation Area - like the handful above, found by Mike Foote - while they're still green up at the top of Blue Mountain.